The Los Angeles-based Rubicon Project has hired two execs to fill top spots at the digital advertising company, in what looks like preparations for an eventual public offering. Greg Raifman, the founder, chairman and CEO of Dragon Media, will become president, reporting to Rubicon CEO and co-founder Frank Addante. And SocialVibe CEO Todd Tappin will take over in the role of COO/CFO, reporting to Raifman. Founded in 2007 and armed with more than $50 million in funding, Rubicon is one of the larger real-time bidding platforms that allows automated buying and selling of global online ads. Tappin is replacing Brian Barnum, who will leave the company, along with Chief Revenue Officer Nick Hulse. The pair only arrived less than two years ago, presumably to also help professionalize the organization. 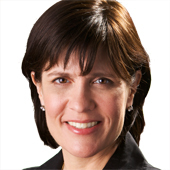 In addition to the other exec moves, general counsel Victoria Von Szeliski will add the title of EVP of culture and business affairs and will also be adding 100 employees this year via organic growth and acquisition. Tappin will be in charge of Rubicon’s operating and financial plan and also lead mergers and acquisitions for the company. Before running SocialVibe, a video real-time buying startup, he was founding CFO of Overture and helped sell the search automation company to Yahoo many years ago. The exec roundelay — a not entirely uncommon thing for Rubicon over the years — is apparently part of a larger bid to eventually IPO the company. Rubicon had also been in recent preliminary discussions with several larger companies — Yahoo and Adobe — about being acquired. The ad tech space has heated up of late, with a range of startups, such as AppNexus, Pubmatic, Turn and others, looking to gain ground, get funding or sell out. But with a large price tag and some strong growth over the last year, along with becoming profitable, Rubicon appears to now be aiming to remain independent. 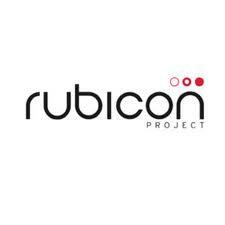 Over the last few years, the company has grown its business significantly — according to comScore, Rubicon Project reached 214.2 million monthly unique users. Whether that is enough to keep up with powerful rivals such as Google is, of course, the big question, especially as the way publishers and marketers interact with the online ad market is changing quickly.